Cross-voting and a dramatic two-hour delay were what one witnessed in the Uttar Pradesh assembly that voted in the Rajya Sabha elections on Friday. The final result was BJP, nine, SP, one and BSP, none. The nephew of Samajwadi Party leader Abu Azmi was among the four to be arrested by the police for allegedly running an international drug racket, police said. During the operation conducted by the Delhi police, five kilograms of drugs worth Rs 40 crore was seized. The special cell of the Delhi police said that party drug MDMA also known as ICE was seized. Methylenedioxymethamphetamine or MDMA is a popular drug in Delhi, Mumbai and Goa. It is in huge demand for rave parties. 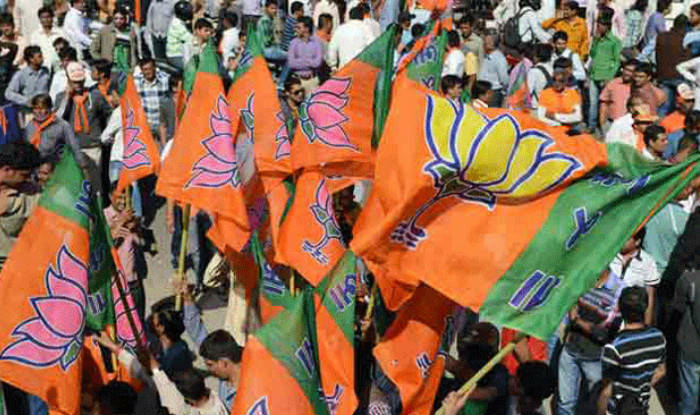 The pollsters have said that it would be a BJP sweep in Uttar Pradesh. There was a momentum in favour of Akhilesh Yadav prior to the elections but in the post-poll scenario, all that has changed if exit polls turn out right. 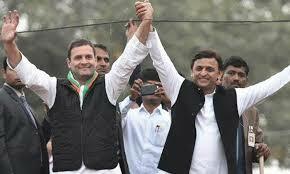 Pollsters say that if the Samajwadi Party loses, then it would be due to two major factors. One, Akhilesh should have stayed away from the Congress. This could have had a bearing on the SP’s chances according to exit polls. Second, after winning the symbol battle before the Election Commission, Akhilesh continued to associate with his uncle Shivpal Yadav. With exit polls 2017 suggesting a BJP win in the Uttar Pradesh assembly elections, there are already many in the Samajwadi Party who are complaining about the alliance with the Congress. Some in the SP feel that the party should have gone alone in the elections, and the alliance has hurt them. Lucknow, Feb 9: In poll-bound Uttar Pradesh, campaigning has taken an interesting twist. The Bharatiya Janata Party has prepared a set of 20 questions–UP ke Sawal—to be answered by the incumbent Chief Minister Akhilesh Yadav. It’s a unique way devised by the BJP to target the ruling Samajwadi Party in its own turf by posing ‘hard-hitting’ questions. It will be interesting to see, if Akhilesh will be able to answer the questions with aplomb. Or, will the SP have counter-questions for the BJP? UP elections: Will Netaji campaign for the RLD? Lucknow, Feb 2: Post the’feud’, Samajwadi Party chief Mulayam Singh Yadav has kept everyone guessing. He says that he is not happy about the alliance that his son and Uttar Pradesh Chief Minister Akhilesh entered into with the Congress. While the SP, led by Akhilesh says that they would fight the elections under the name of Netaji, the Rashtriya Lok Dal on the other hand is trying to rope in the veteran leader. Author Vicky NanjappaPosted on February 2, 2017 February 3, 2017 Categories Vicky NanjappaTags Akhilesh Yadav, Netaji, oneindia.com, RLD, Samajwadi Party, SP, Vicky NanjappaLeave a comment on UP elections: Will Netaji campaign for the RLD?